Founded in 1980, KOBOLD soon established itself in the market place due it patentable technology, high quality products and superior service. In the following years, independent KOBOLD companies were established in numerous countries worldwide. 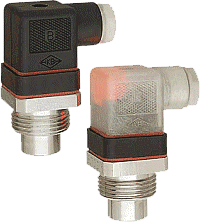 The company's purpose is to develop, manufacture and sell instruments for monitoring, measuring and regulating the physical quantities of flow through, pressure, level and temperature. 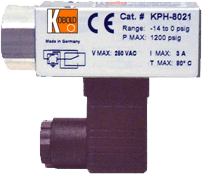 The KOBOLD KPH pressure switch is a highly reliable, small footprint pressure switch ideal for OEM installations. Its long cycle life and rugged mechanical design are your assurance that it will provide you with reliable service.